If making this toy for a child, 3 years or younger, you may wish to consider, for safety reasons, embroidering the eyes and nose. 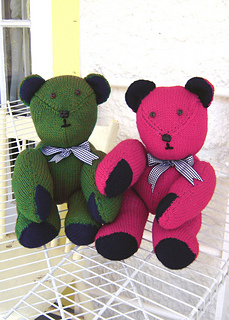 One pair safety-lock eyes, one safety-lock nose, fiberfill, ribbon. 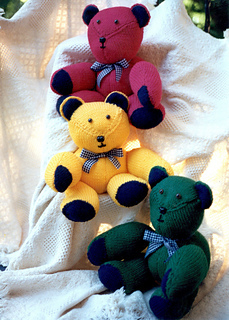 The knitting pattern, written in both US and metric measurements, includes knitting charts for each of the toy sections.